Coo Coo Sabzi by Mel, Coconut Quinoa by yours truly and a Spicy Aubergine Curry with split peas and limes from Roshi, who also made the most delicious salad to go with it using tomatoes, cucumber, onions, olive oil and lemon juice with a little seasoning. 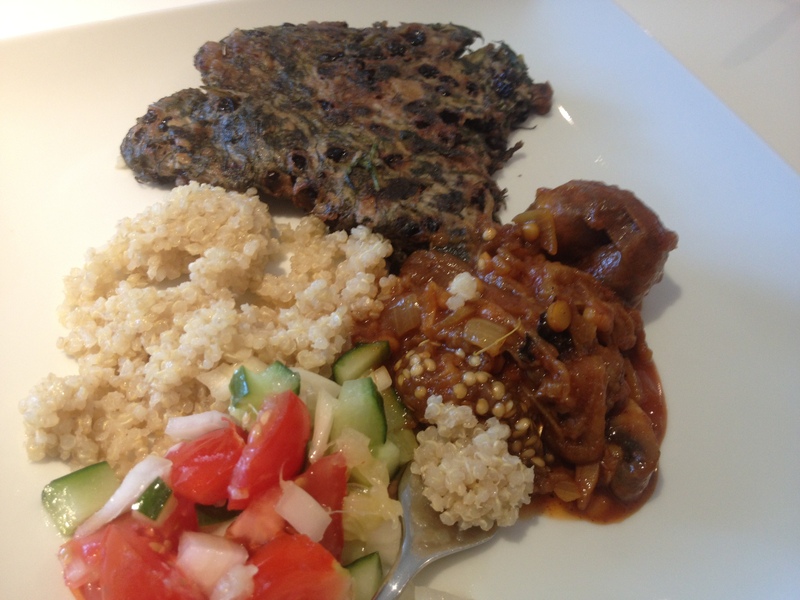 Mel created a Vegan version of Coo Coo Sabzi by using silken tofu rather than an egg (at the top of the plate). I decided to create something similar for dinner … so here is my version. Gently fry the spices in coconut oil until the fragrances start to come out, then add the chillies and leeks and cook these until soft. Add the herbs and kale and turn in the pan until soft and just cooked. 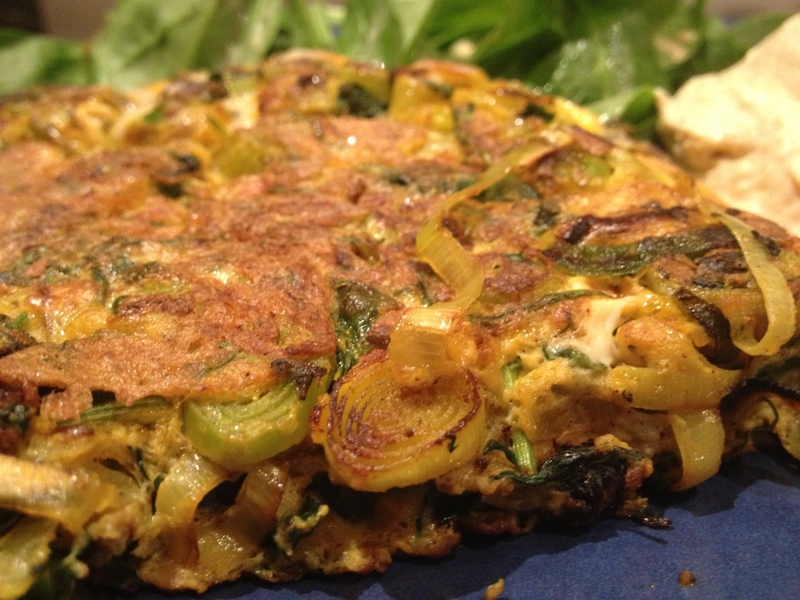 Add the tofu or egg and allow the mixture to cover the herb mix, much like you would a Spanish omelette. Allow this to cook thoroughly and then place under the grill to brown the top or slice into quarters and flip in the pan to brown. I served this with a bed of spinach and a dollop of hummus, a drizzle of olive oil and a delicious glass of vegetarian shiraz!